Cat allergies can cause itchy or watery eyes, runny nose, shortness of breath, wheezing, coughing, and hives. Many cats are surrendered to animal shelters each year because their owners or other members of the household have become allergic to them. This is unnecessary, as allergies can usually be controlled through rigorous household cleaning, bathing the cat, and taking antihistamines. Contrary to popular belief, it’s not the cat’s hair, but dander (dead particles that flake off from the skin) and saliva that cause allergic reactions. These reactions are a response to a protein called Fel d1 that cats produce. Other things that can cause symptoms similar to those of a cat allergy are dust, mold, cigarette smoke, pollen, insects, and other animals including dogs and horses. In some cases, a person is slightly allergic to cats, but allergies to other things in the house triggers a far more serious reaction than would occur in response to the cat alone. Have allergy shots, which work for 65% of cat allergy sufferers (but only 20% of those with dog allergies), and in some cases permanently cure the allergy. Wash your hands right after interacting with the cat. Reduce other allergens such as mold and dust that may contribute to allergic reactions. Don’t let cats sleep in the same room as the allergy sufferer. Keep all closet doors tightly shut so that allergens don’t get into clothing and bedding. Get rid of carpets, if possible, because they trap allergens; or choose a carpet that is very easy to clean. Use non-cloth blinds that are easy to wash rather than curtains, or choose a set of curtains that can be thrown in the washing machine frequently (and washed in hot water – a temperature of 130F is required to deactivate the Fel d1 protein). Use a less dusty cat litter – some brands produce more dust than others. Clean or replace furnace and vacuum filters. Use slipcovers over furniture that the cat sits on; they can be removed and thrown into the washing machine regularly. Purchase allergen-proof pillowcases and mattress covers and wash them frequently. Wipe down furniture, walls, and baseboards every week. Use a vacuum that has a HEPA filter – standard vacuum cleaners do not remove the Fel d1 protein if it is embedded in upholstery or carpeting, and may even worsen the situation by stirring allergens into the air. Wash the cat’s bedding in hot water each week. Get rid of or frequently clean ceiling fans, which collect animal hair and dust and send them all over the room when the fan is in motion. Many of the cleaning strategies for reducing allergens provide the added benefit of reducing the risk of flea infestations. Use a non-toxic spray such as Earth Balance’s Dander Free (also available for dogs), which contains friendly microbes that eat dead skin cells. Neuter or spay the cat – unfixed cats produce more of the allergenic protein. Rinse the cat in plain lukewarm water (without soap) a couple of times each week. Bathe the cat twice a month in lukewarm water with a mild shampoo formulated for pets. Anecdotal evidence suggests that hairless breeds such as the Sphynx, and breeds with short hair such as the Devon and Cornish Rex, provoke fewer allergic reactions because they shed less allergen-laced hair. 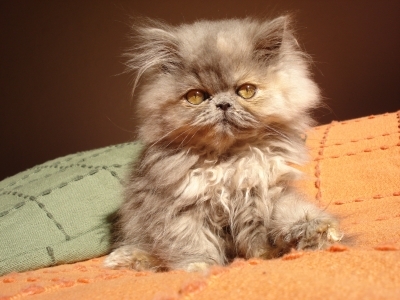 It has been claimed that Siberian cats are hypoallergenic because they produce less of the Fel d1 protein, though to date there have been no official studies conducted to confirm this. However, there is a fair bit of anecdotal evidence that some allergy sufferers tolerate Siberians better than other breeds of cat.